The number was huge across the different language streams. The Overwatch League kicked off with impressive numbers on Twitch, which should certainly please the platform that reportedly payed $90 million for exclusive third-party broadcasting rights. Across the three different language streams—English, French, and Korean—Overwatch League peaked at 441,243 viewers. The majority of those viewers came from the original Overwatch League English stream with 392,119 at its peak, followed by Korean with 64,534 and French with 11,530. On average, the stream stayed steady with a total a bit over 300,000 viewers, which is an impressive feat for the six hour broadcast. The challenge will be maintaining—or even surpassing—those numbers as the Overwatch League continues on. There’s a ton of matches yet to come, with broadcasts four days a week. 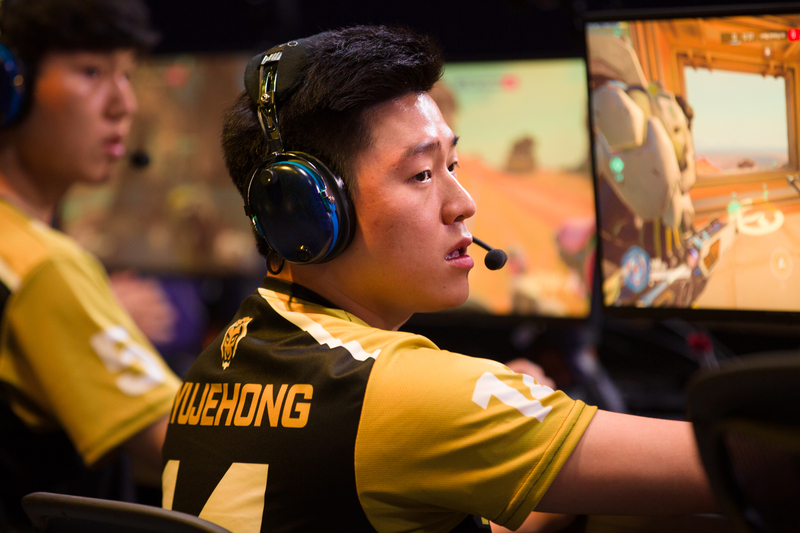 The first day of play saw both Los Angeles teams impress the home crowd, with Los Angeles Vailant beating San Francisco Shock and Los Angeles Gladiators wiping out Shanghai Dragons. Seoul Dynasty vs. Dallas Fuel gave fans the most exciting match-up of the night, with Dynasty eking out a 2-1 win. The Overwatch League continues Jan. 11 with three more matches.